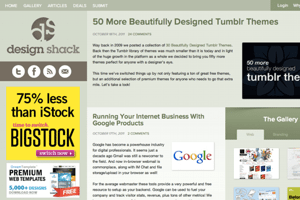 News and updates about Design Shack, and other announcements from our network of sites. Stay in the loop with what’s happening behind the scenes. We’re incredibly excited to let you know about a new project we’ve been working on for the past few months — Design Curate. While we love to share inspiration and articles here, we also wanted a place to offer some fantastic freebies and resources for designers. 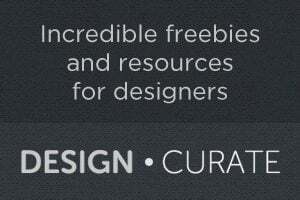 Design Curate already has a growing collection of freebies — PSDs, WordPress themes, CSS/HTML snippets, and lots more! We’ll be adding new free resources every week, along with featuring a few commercial design goodies from time to time as well. Read on to find out more about the new site, or just head over and take a look! Last Thursday, I found out that someone had taken it upon themselves to “hijack” our primary domain name — designshack.net — and transfer it away from our registrar. We’re working hard to reverse the process, and I’ll be documenting the current situation here. Today we’re going to discuss the importance of intentionally directing user attention to the portions of the page merit it most. We’ll discuss how people are prone to read a page and how we can bend that tendency to our own will. We’ll also take a look at an awesome product that will enable you to get a quick snapshot of how a typical user will view your designs so that you can begin to improve your layouts right away. If you’ve taken a look at our site design in the past few hours, you might have noticed a few changes! We’ve taken the design paintbrush for a spin, streamlining and simplifying the layout and re-focusing on the parts of Design Shack that we particularly love. All this comes hand-in-hand with a change to the Design Shack brand, and a funky new logo courtesy of Aaron Mahnke. Read on to find out a little more about the design, branding, and the changes we’ve made to the site. Design Shack Deals launched back in February, and since then we’ve featured some fantastic discounts on products and services for designers. Today we’re announcing an affiliate program that all Design Shack members can take advantage of. If you run a blog, have a Twitter account, or want to spread the word about our latest deal via email, we’d love for you to help with promoting our weekly deals! We pay a 15% commission on every sale you generate, and you can keep track of every click and sale you generate in real-time. Read on to find out more! Design Shack Poll: What Type of Content Would You Like to See More Often? Design Shack has undergone a ton of changes and growth in the last year or two and we thought it would be good to take a minute and get your input. We want to make this site as helpful and interesting as possible for you, our readers. To help us better target our content towards what you’re interested in, take a second to answer the poll below. 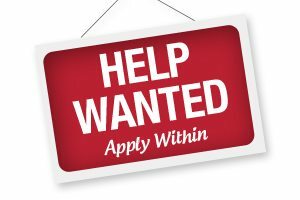 We can’t do it without you and highly value your input! The All-New Design Shack Is Here! Read on for a little explanation about what’s new in the latest iteration of the site, and what you have to look forward to over the coming month! Here at Design Shack we love good inspiration and seek to provide you with daily bits of visual sustenance that will help you become a better designer by expanding your horizons and opening your mind up to different styles of design. We’d love to feature your work in our gallery and want to make sure you fully understand the process so you can effectively decide whether or not you should make a submission. The following will serve as a basic guide for anyone interested in submitting a site. It will delve into our goals for the gallery, who should submit designs, some tricks to getting in and even how to handle a rejection notice. 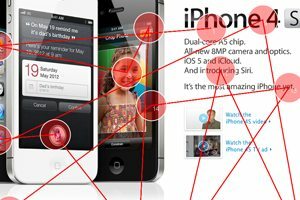 Well after Steve’s keynote address about iPhone 4, Apple quietly released Safari 5, the latest update to its popular web browser. Let’s briefly take a look at what’s new and what we think of it. If you’ve ever done web development, you know that the one browser you have to watch out for the most is Internet Explorer. Nine times out of ten, even if you’re good to go on every other major browser, IE will do its best to leave you cursing its downfalls. Now if you’ve ever done web development on a Mac, you know that testing on IE can be rough. You either have to have Parallels, Boot Camp, or some equivalent installed or use a service like Adobe Browser lab to snag a screenshot. The former involves actually installing windows on your Mac and takes far too much time and hard drive space if all you want is IE, and the latter only allows you too see how things look in IE, not how/if they actually work. I’d like to take this opportunity to say a big thank you to everyone who has contributed to the site this year, written an article, or submitted their design. We’re certainly ending this year on a high, and are looking forward to everything we have in store for 2010. I hope that you have a wonderful rest over Christmas, take the time to recharge your batteries, and start the New Year full of fresh, creative inspiration. Thanks for reading Design Shack, and Happy Christmas from myself and Josh!